Editor’s Comment: An interesting point to consider when reading the following post from, The Realist Report, is the fact that the powers behind the European States have been relentless in their attempts to control European thought in regard to the juden since 1945. One can easily be put into prison for merely publishing a book, or even a song, that rubs the ‘chosen ones’ the wrong way. This suggests that the opinions expressed in this poll are coming from first hand experience – not ‘malicious media’. Since 250 CE, Jews have been expelled from an estimated 109 Nations – and this is only the record of the common era, and does not include pre-christian expulsions (i.e., those found in Greek and Roman records, as well as the historically circumspect biblical narratives). This known history cannot be assumed to have been a regular occurrence simply due to an innate hatred by these many and diverse peoples. It can only be explained by the nature of the jew in civic/political interactions with the native peoples. Even with the attempts at mind and thought control hideously imposed upon the European people, the offensive jewish character still leaves the public with a negative impression that cannot be denied. By now, I’m guessing most readers have no doubt heard about the recent CNN survey conducted in Europe regarding “anti-Semitism” and “Holocaust awareness,” which has the organized Jewish community frantically kvetching. Apparently, a troubling number of Europeans recognize the reality of Jewish power and influence in society, mass media, finance, and government, i.e., they hold “anti-Semitic” views. Because understanding basic facts about Jews is fundamentally “anti-Semitic,” according to the organized Jewish community and the Jewish dominated mass media. Anti-Semitic stereotypes are alive and well in Europe, while the memory of the Holocaust is starting to fade, a sweeping new survey by CNN reveals. 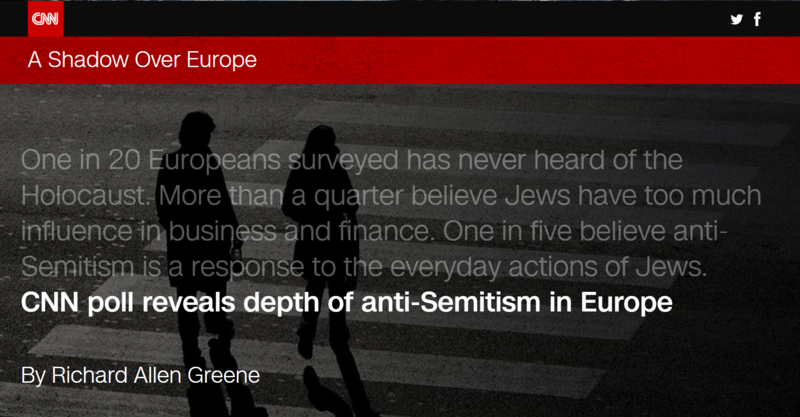 More than a quarter of Europeans polled believe Jews have too much influence in business and finance. Nearly one in four said Jews have too much influence in conflict and wars across the world. One in five said they have too much influence in the media and the same number believe they have too much influence in politics. 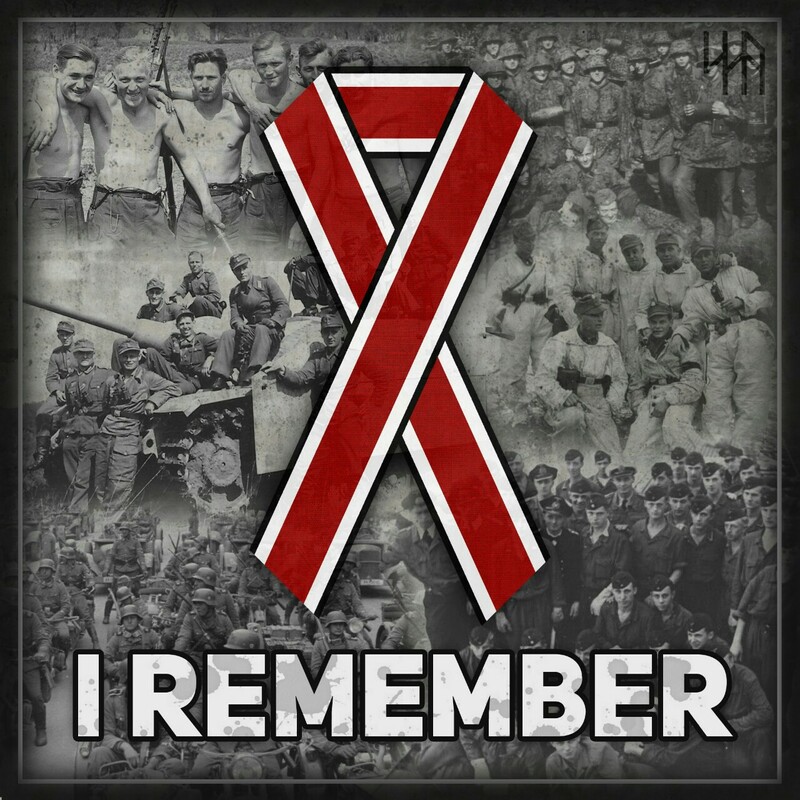 Meanwhile, a third of Europeans in the poll said they knew just a little or nothing at all about the Holocaust, the mass murder of some six million Jews in lands controlled by Adolf Hitler’s Nazi regime in the 1930s and 1940s. It’s worth noting that believing Jews have “too much influence” in any given field or industry – the mass media, politics, government, finance, banking etc. – is an entirely legitimate, valid point of view to hold, given the demonstrable, easily verifiable reality that Jews do indeed have significant influence and power in virtually all aspects of American society. Jews do basically dominate and run the mass media, Hollywood, and “entertainment” industry, and some of them even openly admit it and boast about it. Jewish individuals and enterprises dominate Wall Street, the Federal Reserve, and international banking and hedge funds, and it’s pretty easy to prove that fact. Countless Jewish individuals occupy key positions of power and influence throughout the federal government, including Congress, the Supreme Court, and the Trump administration. Suffice it to say, Jews do in fact have significant influence throughout our society, and there is nothing wrong with observing (and even criticizing) this basic fact, despite what the organized Jewish community and radical left-wing activists have to say. 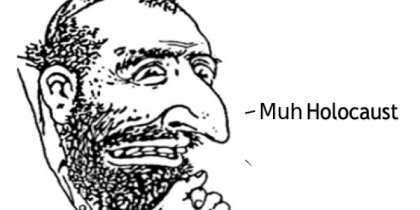 That’s right, goyim: recognizing the obvious reality of Jewish power and influence constitutes “hateful anti-Semitic tropes” that must be shut down and excluded from “enlightened” civilized society, at least according to the Jews. 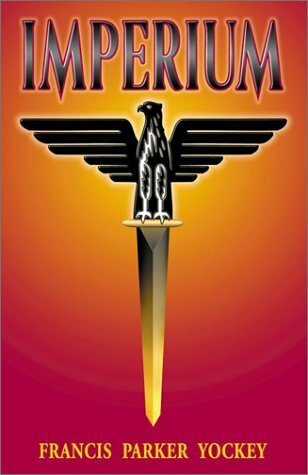 The official WWII narrative, which depicts Adolf Hitler’s “Nazi Germany” as the epitome of evil hellbent on the destruction of Jews and other minorities, and the post-WWII consensus on key issues relating to economics (“free trade” and globalism), race (anti-White, Marxist racial concepts and ideas institutionalized across the Western world), and immigration (unrestricted Third World migration to America and Europe) underpin the entire New World Order agenda, which essentially boils down to a destruction of sovereign Western nation states, a total perversion and destruction of traditional Western civilization, and the implementation of a Jewish-run tyranny across the world. The organized Jewish community clearly recognizes these facts, and devotes significant resources, energy, and manpower to ensuring their control of the narrative remains intact. Central to that is the official “Holocaust” narrative, which is entirely false and a total inversion of what truly took place during WWII. And just what are those “lessons and conclusions” we can draw from the official “Holocaust” narrative endlessly promoted by the organized Jewish community, Hollywood, academia, and our own government institutions and politicians? I could go on, but I think most readers get the point. Yes, a very insightful piece above that prompts the following comments. Jews also control, through ownership, many large book publishing houses in the US. Jewish pressure groups act to effectively censor authentic history of the 20th century, especially as it regards the Judeo-Bolshevik Revolution in Russia and the National Socialist period in Germany. Much true history that needs to be more widely available is effectively banned because of the power of the Jews in America. Recall the mass book banning by Amazon in early 2017. Herve Ryssen has dealt with the Jewish accusatory inversion in some of his books. Basically, the Jews accuse others of what they themselves are guilty of. Judaism is racial self-worship and their Talmud is filled with many very vile verses that degrade all non-Jews (goyim). They complain of “anti-Semitism” but they are the most racist of all peoples. The late Willis Carto had penned a number of short pieces on the harm that the holocaust narrative does to debate on so many contemporary issues. Yes, the Jews use the holocaust lie to stifle any and all criticism of themselves by others. If a Jew dares to criticize the story, as some revisionist Jews have done, he is smeared as being a “self-hating Jew”. The true holocaust was what was done to the German people both during and after the war in Europe. (And, let us not overlook that the holocaust was one of the pillars supporting the founding of Israel in 1948.) The holocaust is the most monstrous lie in history and one of the biggest, if not the biggest, swindles in history. The level of thought control imposed upon the masses in the West is most perfectly illustration with regard to the talmud. It’s the most despicably hateful batch of writing ever scrawled on paper. Many of the heinous practices discussed in those texts aren’t old-school outdated ones either. Child abuse via pedophilia, for example, is still very much in vogue within the most influencial junden circles. And while that’s in the extreme, the more common bits about enslaving the goyim, theft of property, etc., are all part and partial of the entire jew world order scheme. Blatant…and in front of the world. Yet they are never called out on it. The West, in particular, is in some bizarre state of mindless pacification. And it goes beyond the ‘holocaust’ narrative. Recent polls show that the numbers of doubters are growing every year. Yet, the level of tolerance grows higher with each outrage. One could easily argue that there’s a truly demonic nature to all of it…but that moves into another area of thought and discussion. Fearless Freedom Press supports the essential human right of free speech, a fundamental building block of free society, affirmed by the U.S. Bill of Rights in 1791 and by the U.N. Declaration of Human Rights in 1948. For more on this visit this site's About page. Enter your email address to follow Fearless Freedom Press and receive notifications of new posts by email. 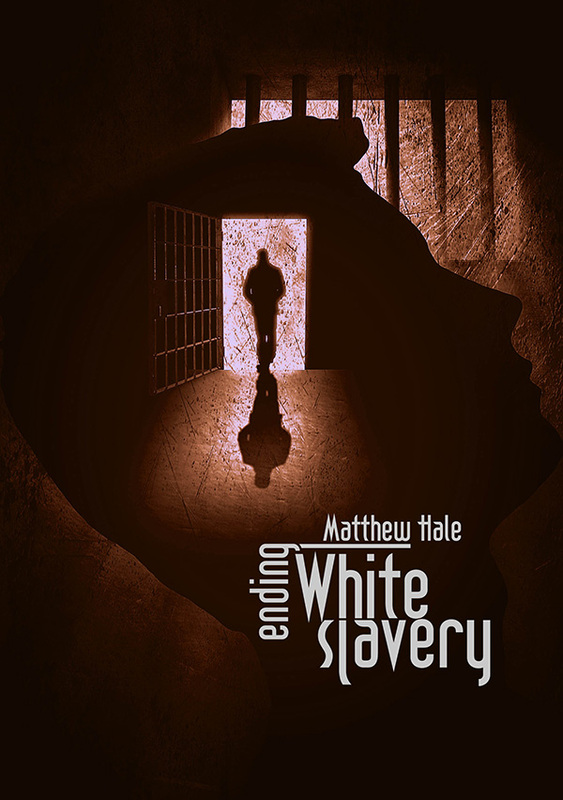 There is perhaps no publication in print that better describes the reality facing the White Race today than Matthew Hale’s, Ending White Slavery. Hale brilliantly elucidates the concepts that have created the state of mental enslavement which has allowed the other races to run roughshod over the natural rights of the White Race. Concepts that have, in turn, led the Race to this dangerous stage of White genocide. To read the first chapter and further info regarding Matt Hale click here. 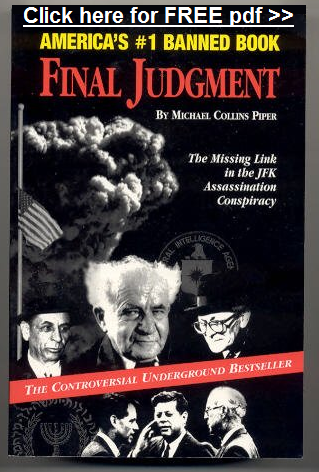 Read Michael Collins Piper's Final Judgment: The Missing Link in the JFK Assassination Conspiracy - this is the damning indictment of Jewish and Israeli elements' role in the masterminding of the plot to murder the United States' 35th President.